Media bias has been defined as the perceived spin provided by journalists and news producers in their selection of events and stories that are reported and how they are covered. The term “media bias” implies a pervasive bias contravening journalistic ethics, rather than the perspective of an individual journalist or article. It must be emphasized that political bias has been a feature of the mass media since its birth with the invention of the printing press. The expense of early printing equipment restricted media production to a limited number of people. Historians have found that publishers often served the interests of powerful social groups. With the advent of the electronic media, the corporate interests of the media moguls tend to cloud judgment. 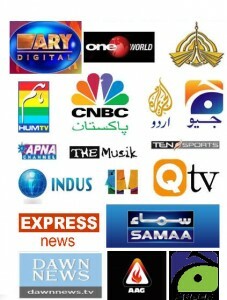 With the increase in media reach and its exponential growth in capacity, the tendency to use it for vested interests has become more pronounced in a country like Pakistan, whose media operates sans a formal code of ethics. Opinion as a Fact—by presenting one’s personal opinion disguised as a fact can easily mislead readers. Half Truths—Quoting out of context or presenting only one aspect of information is a favourite ploy of propagandists. Misleading Headlines—the headline writer can propagandize effectively since many see a headline but seldom read the story. Biased Photographs—presenting best perspective of favourites and worst of undesirables. Censorship—selective control of information so as to favour a particular viewpoint or editorial position and deliberate doctoring of information or totally disbarring certain undesirable information are certain forms of censorship to create a desired effect. Wrongful Attribution or Testimonial Technique—in which a journalist may attribute a statement to a veiled or vague authority to gain credence for an incorrect statement.